Sold out. 10 seeds. New for season 2019. An excellent tasting old heirloom from Kentucky. 10 seeds. New for season 2019. Very unique tomato created by Ruslan Doohov, Russian breeder. 10 seeds. New for season 2019. Very productive rare giant tomato. 15 seeds. New for season 2019. 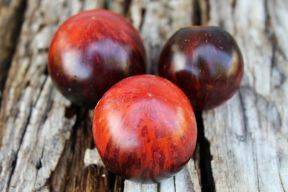 A stabilized version of Cherokee Purple tomato. 15 seeds. New for season 2019. Disease resistant indigo coloring attractive tomato. 15 seeds. New for season 2019. Medium-sized blue tomato with high anthocyanin content. 15 seeds. New for season 2019. Productive, attractively colored variety very similar to Ananas Noir tomato. 10 seeds. New for season 2019. A very productive in low temperature variety that has impressively tall 3 m plants. Sold out. 10 seeds. New for season 2019. Big-fruit very productive pink tomato. 15 seeds. New for season 2019. Very beautiful big-fruit tomato. 10 seeds. New for season 2019. Rare tomato for growing in pots and in the ground. 10 seeds. New for season 2019. A cross from Orange Russian 117 and Golden Dwarf Champion tomato. 20 seeds. New for season 2019. Big-fruit multicolored giant tomato. Sold out. 10 seeds. New for season 2019. 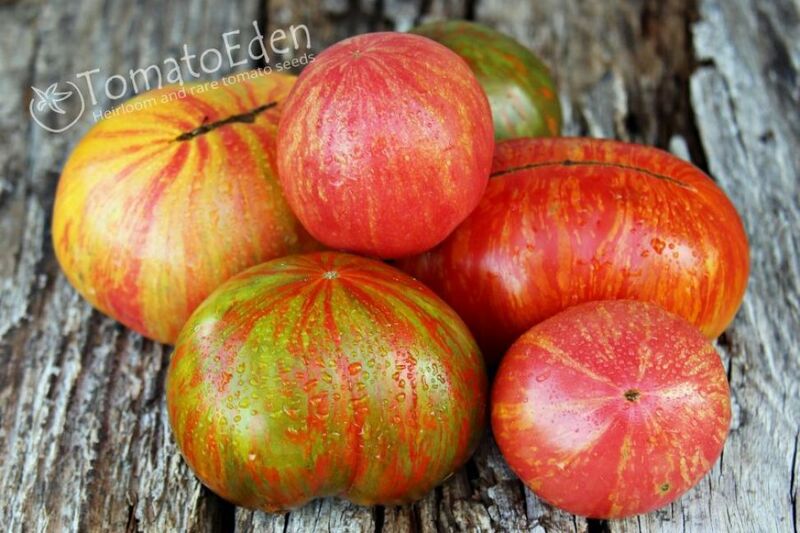 Beautiful tomato created by Tom Wagner from Green Zebra and Glacier tomato. 15 seeds. New for season 2019. Big-fruit heirloom tomato from USA. 10-15 seeds. New for season 2019. 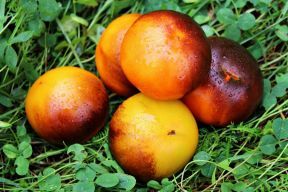 Incredibly colored rare variety. 15 seeds. New for season 2019. Gorgeous, great-tasting multicolored tomato. 10-15 seeds. New for season 2019. Productive bi-color heirloom tomato, full flavored with few seeds. 10-15 seeds. New for season 2019. A productive heirloom tomato from USA. 10 seeds. New for season 2019. Productive big-fruit old heirloom tomato. Sold out. 10 seeds. New for season 2019. Very beautiful rare multicolored tomato. 15 seeds. New for season 2019. 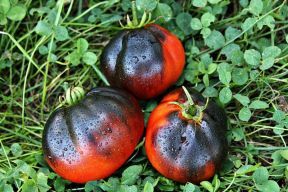 Originated in Texas, hard to find, best-tasting black tomato similar to Cherokee Purple. 15 seeds. New for season 2019. Gorgeous tomato created by Anna jankowska, Polish breeder. 10 seeds. New for season 2019. Tomato created by Anna Jankowska, Polish breeder.